How about making a small donation to support our website? Use the button below to make a one-time $3 donation to AA1Car.com. Thanks! 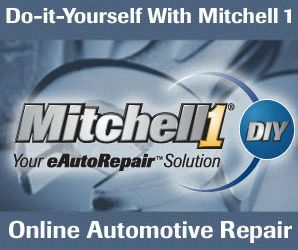 Whether you drive an Acura, Audi, BMW, Buick, Cadillac, Chevrolet, Chrysler, Dodge, Ford, General Motors, GMC, Honda, Hyundai, Infiniti, Jaguar, Kia, Lexus, Lincoln, Mazda, Mercury, Mercedes, Mitsubishi, Nissan, Porsche, Subaru, Toyota, Volvo or Volkswagen, you can find automotive diagnosis and repair information here. Save money and fix your car yourself, or be better prepared to discuss your auto repair options with a professional technician. Our mission is to provide free, non-biased, accurate, up-to-date and technically accurate car repair information. Disclosure: This website is supported entirely by advertising. None of the technical content has been written for or by any advertiser, or to promote any particular product or service. If we do mention a particular tool, product or service in an article, it is because we think it is noteworthy, helpful or necessary. We reserve the right to make such judgements and to share our opinions with our visitors.